Portable toilets are an indispensable facility on remote work sites. When you’re hundreds of kilometres from the closest proper dunny, you had better hope that your Porta-Loo is up to the job. Keeping your toilets clean and functional is extremely important – the health and comfort of your whole worksite depends on it. You need a reliable waste treatment solution that’s guaranteed to deliver results, yet is safe for your unique conditions at the same time. Extreme Green Porta-Loo Treatment can be used in all portable toilets, in motor homes,caravans, and dongas, including cassette style and long drop systems, as well as waste tanks on boats. All you need to do is mix the required amount of treatment into your holding tank, and let the all-natural ingredients get to work, while you get back to more pressing matters. Porta-Loo Treatment will leave your portable toilet clean, sanitised and lightly-perfumed, all without the use of harmful or toxic chemicals. Liquid Loo is a nonhazardous solution that’s perfectly safe for use and transport. When you’re out in the middle of nature, using environmentally friendly products is all the more important. Traditionally, many waste treatment solutions contain toxic chemicals like formaldehyde. These products are wonderfully effective at killing bacteria and sanitising your portable toilet. Yet once all is said and done, you’re left with a tank full of toxic chemicals, hazardous to your health and difficult to dispose of without harming the environment. With Extreme Green Porta-Loo Treatment you need not worry about any of that – it’s made entirely from natural, biodegradable ingredients. Extreme Green Porta-Loo Treatment is an extremely economical waste treatment solution. As little as 25ml per week can deliver total results, depending on usage levels. When stored correctly, this product has an indefinite shelf life, meaning that a tank of Liquid Loo is one of the cheapest and longest-lasting investments you can make for your portable toilet system. When you’re out on the road, the worksite orthe ocean, controlling your portable toilet system is of utmost important. But that doesn’t mean it should take up more than a few moments of your time. And it certainly shouldn’t mean that you need to risk your health and environmental footprint by using harmful chemicals. Envirosafe Solutions is an industry leader in providing safe and effective waste treatment solutions. For more information on how we can assist you with portable toilet maintenance, please contact us on 1300 88 90 70. Window cleaning is one of those neglected chores that most of us avoid wherever possible. Yet in your place of business, keeping clean windows is an issue of presentation and professionalism. After all, you don’t want potential customers peering in at your operation through smudged and grubby glass. An effective glass cleaner is essential to keep your windows sparkling. As anyone who’s ever washed a window will attest, it’s not as simple as it might appear. Achieving a proper clean without leaving great dirty streaks across the glass is something of an art form, and the cleaning product you use can make a world of difference. Extreme Green Window Cleaner provides the user with a happy, streak-free experience. Easy to apply and easy to wipe off, leaving you with crystal clear windows for all to admire. This is a highly versatile glass cleaning solution. It can be used neat for maximum effect, or depending on strength requirements can be diluted with water up to 1:5, and still produce an outstanding clean. Extreme Green Glass Cleaner works on windows, mirrors and screens. For an extra cleaning boost, fill your vehicle’s windscreen wiper reservoir with the 1:5 strength solution -ideal for long, dusty trips when windscreen visibility can become an issue. And it doesn’t end with glass. This Extreme Green product works as an all purpose cleaner on stainless steel, vinyl and laminex surfaces. This is the ideal cleaning product to keep in your office, restaurant or hotel. Extreme Green Glass Cleaner will take care of your windows, computer screens, kitchen benchtops, tables, desks, and just about anything else you need to wipe down on a regular basis. Most importantly, Extreme Green Glass Cleaner is safe. A surprising number of window cleaning products are loaded with nasty carcinogenic substances. If you’re working in an office, then chances are you’re surrounded by a lot of glass. Whatever you spray onto your windows is ultimately going to evaporate and float around in the air. Do you really want to be breathing toxic chemicals all day long? With Extreme Green Glass Cleaner you won’t need to worry about any of that. The ingredients in this product are all-natural and organic. No pollutant chemicals, no health risks, just window after window of clear, shiny glass. Keeping your office or business looking its best doesn’t need to be a chore, and it certainly doesn’t need to compromise your health or increase your environmental footprint. Envirosafe Solutions stocks a whole range of innovative cleaning products that achieve clean and green results for your workplace. For more information on how we can assist you with window cleaning, please contact us on 1300 88 90 70. After months of uncertainty, the Gillard Labor government has finally announced that Australia will have a carbon tax. This is an effective policy backflip since the last election campaign, and the initial reaction from the voters and the opposition has been largely negative. Public unease over the proposed tax has been widespread, with many lower and middle income earners voicing concern about a rise in electricity prices. The government has taken a significant hit in the polls over the carbon tax announcement, amid heavy criticism from the opposition that Julia Gillard does not have a mandate from the Australian people. Tony Abbot has decried the carbon tax as illegitimate, and suggested Gillard call an early election and put the issue to the people. Much uncertainty remains over how the tax will work, and a rigorous debate on the issue lies ahead. If this tax becomes a reality there will be significant implications for Australian industry – particularly the resources sector. 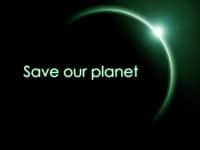 At Envirosafe Solutions, we believe that reducing carbon emissions is a positive step toward a green future, yet at the same time we understand the pressures faced by Australian industry. Whether or not Gillard’s carbon tax is successful, we will be keeping a close eye on developments. Extreme Green Dishwasher Powder is a versatile and highly active detergent that’s suitable for use in all types of dishwashing machines, both domestic and commercial. The powder is ready soluble and fast-acting in hot or cold water. This is a maximum-strength solution that will attack the most stubborn stains and encrusted filth, and yet it’s gentle enough to use on fine china. Most importantly, it’s safe for use in hard water systems. Extreme Green Dishwasher Powder is just one in a whole line of Envirosafe products designed specifically for the remote mining sites of northwestern Australia. When you’re off the water grid and a long way from any major town, keeping your septic system in good working order is of utmost importance. If your system fails, the consequences can be unpleasant at best, and disastrous at worst. You don’t have the luxury of flushing substances down the drain and forgetting about them – whatever enters your system stays there, and using the wrong detergents and cleaning agents will wreak havoc on your entire site. Many conventional detergents contain high levels of phosphates. Phosphate build up is a leading cause of damage to hardwater and septic systems. These chemicals are rich in nutrients and provide a food source for algae. Once phosphates start accumulating in a water tank, algae blooms are sure to follow, and it’s only a matter of time before your system becomes clogged with slime. This is the last thing you need on a remote site, and it’s amazing how much damage the wrong detergent can do. Extreme Green Dishwasher Powder is formulated with the lowest possible level of phosphates, to ensure that you won’t find any nasty surprises in your tank. The ingredients are 100% biodegradable, so this powder won’t pollute the water and soil around you. You’ve got enough things to worry about working on a remote site – you needn’t be losing sleep over your choice of dishwashing detergent. Envirosafe Solutions is working hard to provide effective cleaning agents for the Australian mining industry. We understand the unique and challenging conditions faced by workers on remote sites, and we design all of our products accordingly. 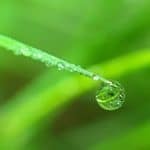 Yet we never lose sight of our green objectives, and ensure that, while our products are powerful and effective, they pose no threat to the environment in which you work. For more information on how Envirosafe Solutions can help you with remote area dishwashing, please contact us on 1300 88 90 70. Everyone knows the pain of opening your dishwasher expecting to find everything shiny and fresh, only to discover that your plates and utensils are smeared, streaked and not very clean-looking at all. When the rinse water inside your dishwasher doesn’t dry quickly enough, or dries unevenly, it can leave terrible streaks across your dishes – all but defeating the purpose of having washed them in the first place! At home, this is a nuisance. At work, in a commercial kitchen, it’s a waste of valuable time and money. Extreme Green Dishwasher Rinse Aid is designed specifically to avoid this scenario. It adds the finishing touch to a rigorous machine wash, and ensures that your dishes emerge sparkling each and every time. The unique chemical ingredients in this product work by breaking the water surface tension, allowing your dishwasher’s rinse water to sheet and evaporate instantly. No streaks, no smears, just clean and dry dishes that look good as new. Extreme Green Dishwasher Rinse Aid is one of many Envirosafe Solutions products formulated with remote work sites in mind. 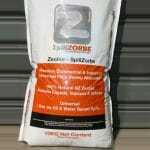 We stock a range of detergents and cleaning agents suitable for use in mining camps and anywhere that hardwater and septic systems are used. Combine Dishwasher Rinse Aid with Extreme Green Dishwasher Liquid or Powder for a total cleaning experience that’s designed for your conditions. On remote sites, you have to be vigilant about what sort of chemicals and substances you’re flushing down the pipes. Not only is your water treatment system at stake, you’ve also got to think about the health of the land around you. Using cleaning products full of toxic chemicals will ultimately poison the soil and water, endangering your health and severely damaging our precious ecosystem. Extreme Green Dishwasher Rinse Aid, like all Envirosafe dishwashing products, is fully biodegradable and formulated only with non-toxic and non-harmful ingredients. This Rinse Aid is the perfect accompaniment to Extreme Green Dishwasher Liquid or Dishwasher Powder, and together these products will deliver you a powerful and reliable clean that’s safe for your dishes, your health and your water system. There’s no reason that people living on a remote site shouldn’t have access to all the same kitchen conveniences as everyone else. Envirosafe Solutions is committed to providing safe and effective cleaning products to suit the most challenging working environments in Australia. For more information on how we can assist you with dishwashing detergents, please contact us on 1300 88 90 70. At Envirosafe Solutions we promote green initiatives in whatever way we can. We seek to form meaningful partnerships with Australian environmental groups and organisations, to bolster the local economy and advance a green agenda for the nation. Carbon Neutral is one such initiative that we proudly support. Carbon Neutral is an Australian not-for-profit organisation dedicated to reducing the impact of carbon emissions and raising awareness of climate change issues. Established in 2001, Carbon Neutral is engaged in various endeavours to research, reduce and offset harmful greenhouse gases that contribute to the warming of the planet. This unique and visionary company works with thousands of businesses and individuals across the country. With financial assistance from industry supporters, Carbon Neutral has to date planted over three million new trees in Australia, offsetting over 42,000 tonnes of carbon emissions. This has been an enormous effort, and Carbon Neutral has even bigger plans for the future. The benefits of tree planting go beyond carbon sequestration. Plantations are made primarily on private land, in consultation with the landowner, and this practice can dramatically improve the value and aesthetic appeal of a property. Native forest plantations help to combat salinity, soil erosion and loss of habitat. 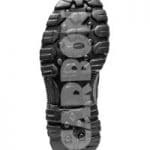 Carbon Neutral also acts as an advisory and consulting services, offering strategies and ideas on how to reduce carbon footprint of households and businesses. The organisation regularly hosts seminars for local government and the business community, and Carbon Neutral is widely regarded as an authoritative source of information. Carbon Neutral is well and truly at the forefront of climate change action in Australia. This incredible work is only possible through donations and the tireless efforts of volunteers. Environmental industry leaders have the biggest role to play in supporting ventures such as Carbon Neutral. 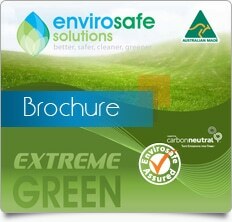 Envirosafe Solutions has had a long and productive association with Carbon Neutral. We are a major financial supporter, and 2% of all sales profits are donated to the organisation. When you buy Envirosafe products, not only are you purchasing premium quality industrial liquids, you’re also investing in a carbon-free future for Australia and the world. To be a truly green company, we must do more than offer environmentally-friendly products. It is imperative that we offset our own carbon emissions, and contribute to revegetation where it’s needed most in Australia. 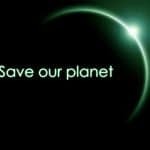 That’s why, for us at Envirosafe Solutions, we consider money donated to Carbon Neutral to be money well-spent. Aloe Vera is more than just a funny-looking plant with spiky leaves. A whole lot more, in fact. If you’ve ever snapped one of those fat, meaty Aloe Vera leaves in half, you’ll have noticed that there’s a clear gel substance inside the plant. To the untrained eye, this gel may appear to be nothing more than gooey plant slime. What you are actually looking at, however, is one of the most dynamic and adaptable natural ingredients found anywhere on Earth. Aloe vera is perhaps best known for its medicinal and cosmetic properties. The plant’s gel has a soothing and relieving effect on burns, insect bites and blisters. If you’ve ever burnt your finger on the stove and then rushed around frantically searching for the burn cream, you’ll be pleased to know that aloe vera gel is just as effective. On the cosmetic side of things, aloe vera has emerged as a major ingredient in skin care products in recent years. Aloe vera is highly effective at removing and clearing away dead skin cells, rejuvenating the skin and keeping it fresh and smooth. But it doesn’t stop there, not even close. Studies have suggested there are 75 (!!) active ingredients in Aloe Vera. One of these is a nifty little compound named Saponins. 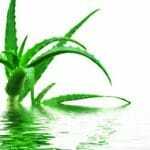 These chemicals form a soapy lather when combined with water – making Aloe Vera the perfect base ingedient for detergents.2 People are quickly discovering that Aloe Vera is the ultimate substitute for many traditional – and hazardous – detergent ingredients. Did we mention that aloe vera is also a dietary supplement? Rich in vitamins B1, B2, B6, and C, as well as many important amino acids. Taken in capsules, aloe vera can aid blood and lymphatic circulation, facilitate digestion and even treat the symptoms of lock jaw and cold sores. Now how many products at your local chemist can do all of that? When you add all of this up, plus a whole lot more, you start to see the big picture: Aloe vera is one of nature’s greatest gifts to humankind. At Envirosafe Solutions we’re big on natural effective products. To create our products, we take all the ingredients from the earth. So when they eventually return to the earth, that’s exactly where they belong. Aloe Vera is one of the many incredible organic ingredients that we use in our range. Discover for yourself the amazing alternatives that nature has to offer. It’s difficult to imagine a world without solvents. They’re everywhere we look. We’ve got solvent chemicals to thank for degreasers, paint thinners, perfumes, nail polish removers and a vast array of commercial cleaning products. The most commonly used industrial solvents include turpentine, ethanol, acetone and ethyl acetate. Without venturing too deep into the chemistry, a solvent is essentially any liquid substance that is able to dissolve another substance, which is why these chemicals are so useful for cleaning and removing paint and grease. There’s a multibillion dollar global market for solvent-based products, and scarcely an industry on earth that doesn’t make use of them in some way. Which brings us to the problem. While solvents are a crucial tool for so many industries, they’re also some of the nastiest and most dangerous chemicals around. The health risks associated with solvent exposure are well-documented. Research has linked solvents to nervous system toxicity, respiratory impairment, liver and kidney damage and various types of cancer. 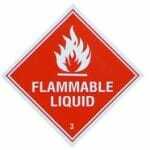 Furthermore, most industrial solvents are highly-flammable and must be used with extreme care. These chemicals contribute to countless accidents in the workplace each year. In short, solvents can spell very bad news for the people who have to work with them. Solvents don’t do our planet any favours either. They are a major cause of environmental damage, particularly soil contamination. Because solvent chemicals can migrate long distances, an accidental spill of even a small amount can affect large areas of land. A solvent spill can render soil highly dangerous to people and animals. Doesn’t sound very appealing, does it? Luckily for us – and luckily for the planet – we’re beginning to discover alternative solutions. Solvent-free products are emerging on the market, which perform the same function as traditional solvents without posing a threat to people and the environment. Research into these alternatives is gaining momentum, and we have every reason to be optimistic about a solvent-free future for Australia. The importance of moving toward solvent-free alternatives cannot be understated. In the 21st century there is a universal need to break away from the hazardous and unsustainable materials of the past. Responsible businesses recognise this. Customers recognise it too, which is why green solutions are the smart business decision. Sticking with the dangerous pollutants of yesteryear will only turn people away. 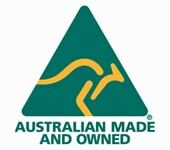 Envirosafe Solutions strives to provide Australian industry with green options. We believe that a healthy business needs to do its bit for a healthy planet, and we are here to help make it happen. Start by embracing the possibilities of a Solvent-Free future. Phosphate chemicals have long been a core ingredient in soaps and detergents. Because of their capacity to mix with both water and fat, phosphates are highly effective at dislodging fat molecules (oil, grease etc.) and dispersing them in water. If you’ve ever tried washing an oily plate with only water, and then again with water and detergent, you’ll know that the detergent makes all the difference. It’s phosphates and other related chemicals that make this possible. The problem with phosphates is not so much the chemicals themselves, but the flow-on effects they create once they’ve been disposed of. When phosphates disappear down the drain, their journey is only just beginning. Once these chemicals are released into our waterways, a whole new process begins that can lead to all sorts of problems. Phosphates are rich in the types of nutrients necessary to support marine plant life. This means a glut of phosphate chemicals in the water can spur on huge growth in underwater plant life, radically upsetting the marine ecosystem. The biggest problem this creates is the growth of poisonous algae blooms. Algae thrive on phosphate nutrients, and certain varieties such as blue-green algae are toxic to humans and potentially very hazardous. Blue-green algae is known to cause nausea, diarrhoea, vomiting, and in extreme cases pneumonia and paralysis – not the sort of thing we want in our water supply. The drama doesn’t end there. Phosphates released into the water gradually build up over time into deposits, which contain high levels of naturally-occurring heavy metals like lead, nickel and chromium. We know well the hazards the these metals pose, particularly to children. Nervous system toxicity, memory impairment and severe brain damage have all been linked to heavy metal exposure. With phosphate deposits in our lakes and rivers, there is a serious risk of heavy metals penetrating into our drinking water supply. The consequences of this are far-reaching and deadly – not even remotely worth the risk if we can avoid it. All of this boils down to a simple truth: we need reduce our usage of phosphate-based products and find safer alternatives. The Envirosafe Solutions product range is 100% phosphate free, because we understand that the risks involved with using these products simply outweigh the benefits. We are constantly exploring enzyme technology and other alternative ingredients to produce the cleaning results without the negative effects of phosphates. Make sure that your business isn’t contributing to water pollution and public health risks by insisting on phosphate-free soaps and detergents. It’s time to think smarter about the cleaning products we use. ‘Biodegradable’ is a term that gets kicked around a lot in environmental discussions. 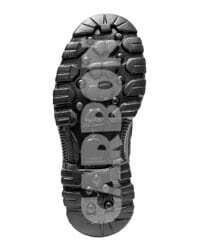 For several years now the biodegradable label has been a major selling point for eco-friendly products. Most people these days would understand the basic concept: biodegradable products are derived from organic materials, which means they can be safely disposed of. These products “degrade” over time through contact with air and water, eventually being absorbed back into the earth. Conversely, non biodegradable products will float around for hundreds of years to come, creating huge landfills and polluting the environment. The dangers of non biodegradable plastics have been a prominent theme in environmental campaigning for a long time. The images that immediately jump to mind are those of polyethylene shopping bags floating in the ocean and turtles choking on plastic six pack rings. There has been a significant trend in recent years toward reducing the use of these plastics and finding biodegradable alternatives. Less documented, but no less serious, is the danger posed by non biodegradable liquids. You can’t necessarily see liquid waste, but it certainly exists and is a serious problem. While it’s tempting to think that liquid products simply disappear once they’ve been washed away, in reality the chemical components can linger around in soil and water for years. Many of the chemicals used to make detergents and other cleaning products are inorganic, meaning they cannot be broken down and absorbed into the earth. These substances can remain active for long periods of time. Inorganic chemicals in our rivers and oceans cause serious damage to marine life, poisoning plants and fish. It’s not something we often think about when we wash our car or scrub the bathroom floor, but the products we use will eventually all wind up in the same place – our waterways. Australia is the driest inhabited continent on Earth, and we should be extremely wary of what we put into our water system. Can we really afford to pollute our most precious resource? It is therefore imperative that we develop biodegradable alternatives to the pollutant chemicals that are currently used in so many industrial liquids. Envirosafe Solutions is at the forefront of research in this field. We believe that there is always a greener alternative, and we’re constantly exploring the possibilities. Biodegradable liquids are the future of Australia’s environment, and we’re hard at work to make this goal a reality. Dust Suppression & Soil Wetting Agents – All Products Are Not The Same! It’s a dry and dusty country we live in – any Australian could tell you that. Dust is a domestic nuisance that all of us have to live with. But for those in the earthmoving, mining and construction industries, controlling dust is much more than an issue of comfort; it’s a major part of the job that requires professional solutions and attention to detail. 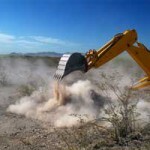 Uncontrolled dust on the work site can have expensive and potentially dangerous consequences. Dust suppression is a water-intensive exercise, and a great balancing act in this drought-stricken country of ours. Water is the most precious resource we have in Australia, and it’s absolutely vital that we use it sparingly. Poor water absorption in soils and road bases costs your business time and money, and it costs the country precious water resources. Using an effective wetting agent ensures that you’re getting the most of your water usage and none is going to waste. Soil Wetta/Dust Suppressor a new product from the ‘Extreme Green’ range by Envirosafe Solutions, is a highly active, deeply penetrating and extremely versatile wetting agent, designed with economy and efficiency in mind. No two jobs are exactly the same, and we’ve designed Soil Wetta/Dust Suppressor to be effective in all situations. Our product works equally well with all water types – salt, rain and bore. Soil Wetta/Dust Suppressor represents outstanding value for money. At an average cost of only 3.3 cents per square metre, our product is one of the best investments you could make for your business. Soil Wetta/Dust Suppressor is also a powerful solution for long term agricultural soil wetting. 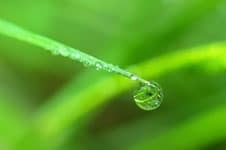 A mere 100ml per 100 litres of water will drastically increase the spread and absorption of water over a full acre of land – perfect for stubborn dry soil. Soil Wetta/Dust Suppressor is 100% safe to use and non harmful to people. As an example, the same tanks used to cart drinking water can be used to apply Soil Wetta/Dust Suppressor, without any health risks. It’s an extremely powerful product, yet poses no threat to the health of those using it. On the Nose? – Not anymore.. Anyone who’s been near a long drop toilet, septic system or holding pond knows that odour control is a serious issue – and this is especially true in the summer months. People who work with these systems need an effective and reliable odour control agent. The problem is that many such products are made from harmful chemicals that pollute our waterways and threaten our health. A toxic petro-solvent product will certainly get rid of odours – temporarily, at least – but what happens once it’s flushed down the drain? At Envirosafe Solutions we don’t believe in pollution for the sake of cleaning and comfort. Waste & Odour Treatment from the new ‘Extreme Green’ range doesn’t simply kill odours with harsh chemicals. It’s much more intelligent than that. This product works by a process of fermentation, utilising naturally-occurring compounds within waste. Waste & Odour Treatment stimulates microbiological activity which then attacks sludge and odour. Waste build ups are eaten away naturally by an army of microbes. In effect, Waste & Odour Treatment simply triggers the process, and then sits back and makes nature do all the hard work. Pretty clever, hey? Waste & Odour Treatment is by no means limited to septic systems and odour control. There are a hundred and one uses for this ingenious product. Waste & Odour Treatment can be used in soiled animals enclosures, as an odour control solution as well as a general floor and wall cleaner. Waste & Odour Treatment is perfectly safe to use in your kitchen and food preparation areas. Wipe down your bench tops to keep them clean and odour-free, then wash it all away without fear of polluting the water. Waste & Odour Treatment can even be sprayed over compost and manure to accelerate the organic breakdown process. The real beauty of Waste & Odour Treatment is that it keeps on working even after it’s been flushed away. The ingredients in this product boost microbe activity inside the drain, eating away at blockages and keeping your pipes flowing freely. For more information on how Envirosafe Solutions can assist you with odour control and waste management, please contact us on 1300 88 90 70. In many workplaces, adhesives are the ultimate double-edged sword. Indispensable tools on the one hand, and enormous hassle on the other. Super glue, duct tape, labels, blu-tack . . . where on Earth would we be without these things? It’s just a shame that the usefulness of adhesives is matched by the annoyance involved when it comes time to remove them. How many hours have you spent scrubbing furiously at leftover glue or tape remains? If the answer is “many”, then you’re no doubt familiar with the vast range of adhesive removal products on the market. There’s an arsenal of cleaning products out there that can reduce your adhesive scrubbing effort. The problem is that most of these products are full of harsh acids and petro-solvents. They achieve results through brute force. Sure, they’ll strip the adhesives away quick smart. But you’re dealing with nasty toxic chemicals that are a health risk to the operator and a pollution risk to the environment. What’s worse, a bit of leftover glue on your wall, or breathing toxic fumes and then flushing pollutant chemicals down the drain? Either way, this isn’t a compromise you need to make in your workplace. Extreme Green Glue Cleaner is a far more intelligent approach to adhesive removal. Using only biodegradable ingredients (that’s no petro-solvents, no acids and no alkalis), Extreme Green Glue Cleaner removes adhesives quickly and effectively. It emits no unpleasant odours, poses no health risk to the operator, and washes away safely without risk of environmental damage. But don’t let the gentle touch fool you. Extreme Green Glue Cleaner gets the job done. The performance of this product is on par with any competitor. This is a rapid-acting cleaner, taking effect in under three minutes. Extreme Green Glue Cleaner is super-versatile, and works on steel, aluminium, glass, concrete, wood and just about any other hard surface you would ever apply adhesives to. Extreme Green Glue Cleaner is a free-rinsing solution – once this product has worked its magic you can simply rinse it all off with water. Apply Extreme Green Glue Cleaner neat, wait three short minutes, wash it all off. Adhesives removed. Nothing more to it. There’s beauty in simplicity, that’s what we believe at Envirosafe Solutions. You’ll find that the most effective cleaning solution is often the simplest, and what could be simpler than all-natural ingredients? For more information on how Envirosafe Solutions can assist you with adhesive removal, please contact us on 1300 88 90 70. The word ‘acid’ has many connotations, and for most people probably conjures up images of corroded metal and hazardous chemical symbols. Many would be surprised to realise how many different acids they actually use in their homes and businesses. Traditionally, inorganic acids (also known as mineral acids) have been used in industrial liquids, particularly cleaners and rust removers. Sulphuric, hydrochloric and nitric acids are some well-known examples. The reason for their popularity and widespread use is obvious: these are highly corrosive substances with powerful cleaning properties. Unfortunately, like so many other industrial chemicals, the effectiveness of mineral acids is matched by the danger of using them. Mineral acids are carcinogenic to humans, and long-term exposure to these chemicals is potentially fatal. The highly corrosive properties of mineral acids can cause substantial tooth erosion, as well as damage to the delicate capillaries of the lungs. Severe respiratory ailments can develop in people who use mineral acid cleaning products on a regular basis, particularly in aerosol form. Clearly we should minimise our use of such products, but this presents a dilemma. Acid-based industrial liquids are far too useful and wide-ranging to simply abandon. The realistic solution is to find alternative safe acids to replace dangerous and harmful ones. This is where we begin to explore the other side of the acid equation: organic. You don’t have to look far to find organic acids. Remember the last time you ate an orange? Citric acid. Yoghurt? That’s lactic acid. The list is endless. 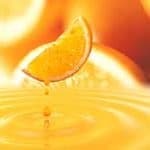 We encounter naturally occurring acids every day, many of them inside our own bodies. What we now understand is that many of these natural acids can perform the same cleaning functions as harsh mineral acids. The acidic cleaning effect is the same, but organic acids are much gentler and less corrosive. This equates to less wear and tear on the surfaces being cleaned. 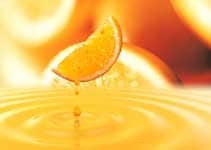 There is a growing range of cleaning products that utilise organic acids to the same effect as traditional inorganic products, without any of the associated health risks. No carcinogens, no lung damage, no noxious fumes and odours. Just a gentle all-natural cleaning solution. The other enormous benefit of organic acids is their biodegradability. Because these acids are naturally occurring and derived from living matter, they will break down in the earth over time without polluting soil and water. When you add all of this up, natural organic acids make a lot of sense. If there is a safer, cleaner alternative to dangerous mineral acids, we have every reason in the world to pursue it. Envirosafe Solutions is working to harness the power of organic acids, because we firmly believe that nature can provide us with all of the cleaning solutions we need. The dreaded “diesel bug” (Cladisporium resinae) should be familiar to anyone who works with diesel engines. Those nasty little fungi that breed inside your fuel tank, multiplying over time and eventually forming a slime that floats around in your fuel and settles at the bottom of storage tanks. The stuff clogs up fuel lines and filters, and produces the highly corrosive hydrogen sulphide, wreaking havoc on the injectors and metal components of the engine. Seems strange that a microscopic fungus can cause so much damage to your vehicle, but that’s the reality of the situation. Extreme Green Diesel Bug Killer is a revolutionary solution to the diesel bug problem. The fungi get their oxygen from water condensation inside the fuel tank. Extreme Green Diesel Bug Killer simply removes all water from the fuel, suffocating the fungi and breaking their breeding cycle. Once the critters are dead, the bodies dissolve into the treated fuel and pass harmlessly through filters. They are finally burnt off in the combustion process – never to be seen again! Fungi cannot re-emerge while Extreme Green Diesel Bug Killer is present in the fuel. Use this product once to kill your diesel bugs, and as an ongoing fuel additive to ensure they never come back. The diesel bug isn’t limited to diesel unfortunately, and can plague all types of fuel oils to varying degrees. Extreme Green Diesel Bug Killer is designed to target the diesel bug wherever it pops up, and can be used in gas oil and heating oil, as well as two and four stroke petrol. 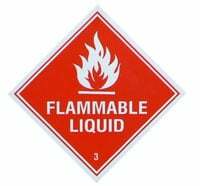 And it works in all internal combustions engines: cars, trucks, boats, earthmoving equipment – the lot. You could very well have the diesel bug in your engine/fuel tank without knowing it. If the bug is present, adding Extreme Green Diesel Bug Killer will make a world of difference to your vehicle’s performance. You’ll discover better fuel efficiency, less smoky exhaust emissions and an all-round smoother drive. Extreme Green Diesel Bug Killer is guaranteed to keep your tank diesel bug-free for as long as you use the product. It’s a super-effective treatment, and yet gentle at the same time. Unlike most other fuel additives, Extreme Green Diesel Bug Killer contains no hydrocarbons, acids or strong alkaline agents and yet it will also clean the injectors and fuel system as it is used. It’s composed entirely of biodegradable ingredients, meaning the only creature it’s going to kill is the diesel bug. If your vehicle isn’t running at 100%, the diesel bug could be the culprit. Extreme Green Diesel Bug Killer will eliminate the fungi and let you get back to work. For more information on how Envirosafe Solutions can assist you with fuel treatment, please contact us on 1300 77 90 80.